Wait? Are you being serious Activision? I hate to be the bearer of bad news folks, but I’m just the messenger. 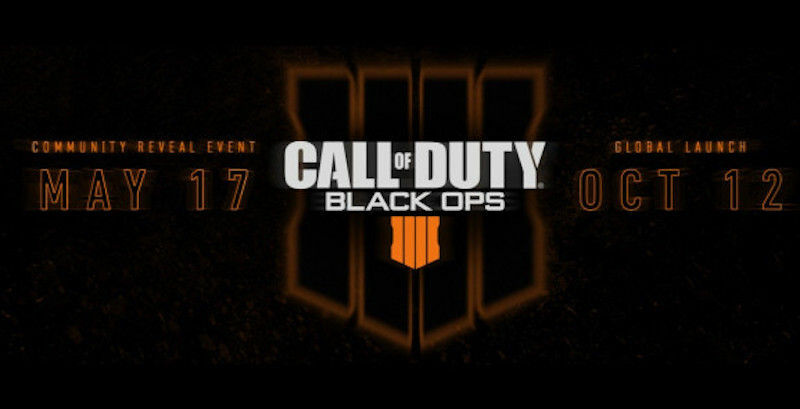 It seems that several outlets are reporting that Activision is going to release Call of Duty: Black Ops 4 without the traditional single-player experience. Which is crazy, as the single-player campaigns in those games were amazing and fun. Instead, it seems that Treyarch, the team behind the game will focus on the multiplayer aspect and Zombies (which is also fun). Polygon got a hold of the story and reached out to Activision for a comment. Only to be met with the “We don’t comment on rumor and speculation” line. I suppose we’ll have to wait until the big reveal that takes place on May 17, 2018. Fingers crossed that this report isn’t 100% correct. As reported, the source of the news has claimed that the reason behind this is development time. Stating that Treyarch simply wouldn’t be able to meet their deadline for the single-player campaign. So they switched gears and started focusing on the multiplayer and Zombies mode. Meaning no single-player campaign and more emphasis on co-op modes, to replace it. I can’t understand, at all. Especially since I really don’t care for the multiplayer aspect, outside of Zombies. It was always the single-player campaigns that made the games great. Black Ops 2 had one of the best stories to date. Or at least it was for me. Sadly, I doubt this is going to make a difference to those who consider themselves die-hard Call of Duty fans. The same people that forgive Activision for giving them games that are missing maps or come with fewer maps every year. Only to eventually put out new maps, with a price tag. Which are embraced with open arms. Part of me what’s to say that the writing was on the wall. Especially with some companies trying to claim that the single-player experience is dead. Though, given all the information and that Activision won’t speak to it. Perhaps there’s more going on here. Maybe, we’ll see a single-player experience, but something completely new. Something that blends both single and multiplayer modes into one seamless experience, would be nice. But what if the game ended up with a Battle Royale Mode? It’s the latest craze, so it wouldn’t be that far-fetched. Kotaku thinks so as well and did some digging along those lines. All will be revealed on May 17, 2018. I just hope it’s good news when it is finally shown off. The title is slated for an October 12, 2018, release on PS4, Xbox One and PC.